Mod 4 Assembly’s Reece Potts has picked up January’s Employee of the Month award, having been nominated for his work to create a benchmark zone. Reece's work was singled out by UTAC pre-audit and contamination audit as an area of best practice. In addition, he was recognised for his successful transition to a different zone and a positive attitude. Runners-up in January’s competition were Charlotte Growcott and Mike Coughlin, who picked up joint second and David Lopez who was awarded third place. 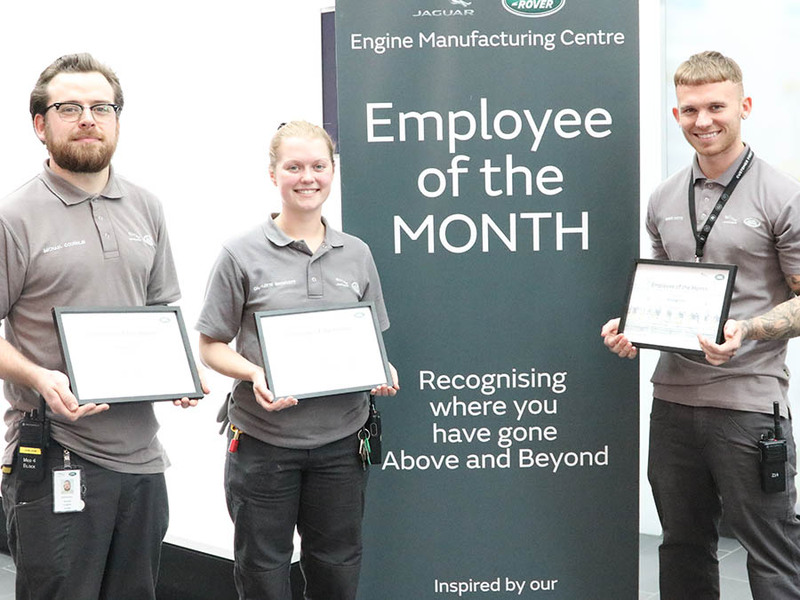 You can nominate a colleague who has gone above and beyond to be considered for the Employee of the Month award through the Re-Ignition site on the JLR People Portal. Please be sure to put Employee of the Month before your submission.